We finally got a break in the weather this week - in fact it's actually HOT. And - migration is pretty much over so I'm looking for birds that are here for the summer. 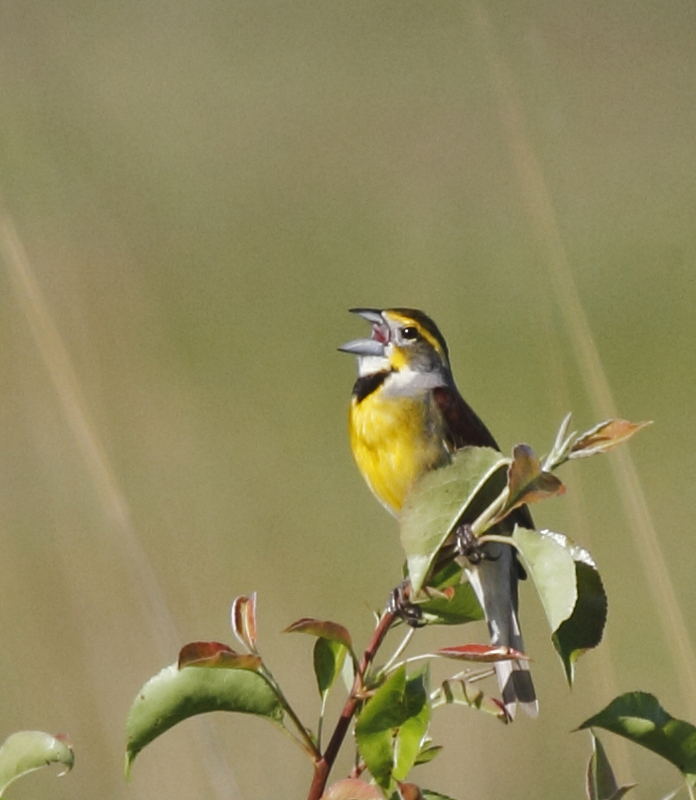 There are a few that I don't really have much knowledge of - Dickcissel, Grasshopper Sparrow and Upland Sandpiper. We met Harvey at a new place this morning called Negri-Nepolte Preserve to see a Dickcissel that has been reported there for a week. The good news is that for once, we found the target bird on the first try. 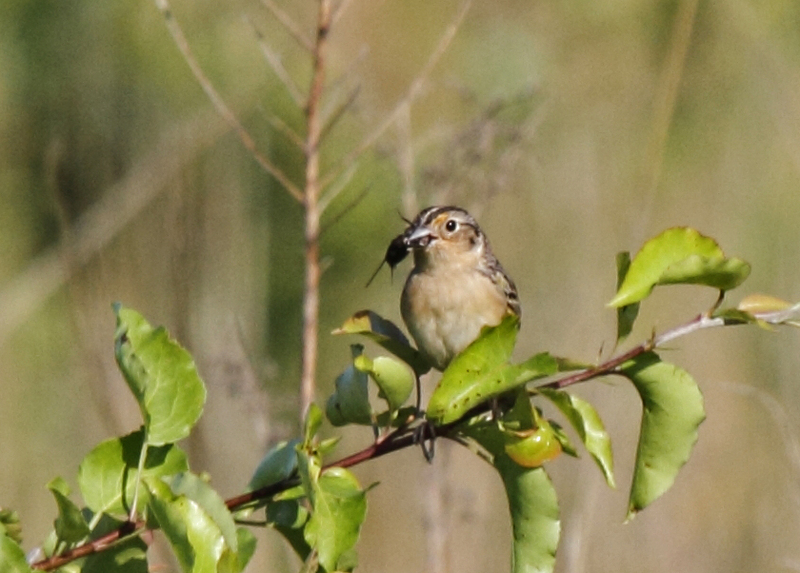 Plus, we got Grasshopper Sparrow too. Fantastic. 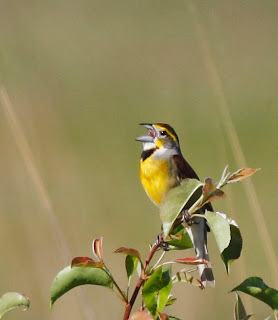 Here is the male Dickcissel singing from a shrub in the field close the path. This guy was really accommodating and perched here twice. Here is the Grasshopper Sparrow. This guy kept bringing big bugs to the same shrub which probably means that his mate is sitting on a nest in the shrub. I have no idea what kind of bug it was. Wait til you see the next story.